It’s July, but before you know it, the kids will be going back to school. Today I have a back to school card to share with you. I try to create a few back to school cards during the summer so I have them on hand when the kids start school again. I like to have them on hand so I can write little messages to my kids on their first day of school. I also like to send them to school with a card and a small gift for their new teachers. 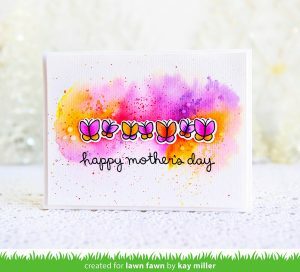 To create this card, I dove into my stash and found some older products from October Afternoon. Their Public Library collection is one of my all time favorites. I just may have bought quite a bit of this collection to keep in my stash! 😉 I created this back to school card with patterned papers and a few stickers from the collection. I created the sentiment with letter stickers layered on top of a larger sticker. I used foam adhesive squares to adhere the large sticker to the base of the card. The foam adhesive created a great way for me to put stick pins into the card and insure that they would stay in place. After I finished the front of the card, I added a few little things to the inside of the card. I had an actual library card on hand so I adhered it to the inside of the card with some patterned paper and a sticker. Now this back to school card is ready for a little note of encouragement for my kids from their mom. 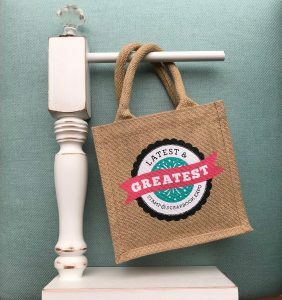 What crafty projects do you create for back to school? 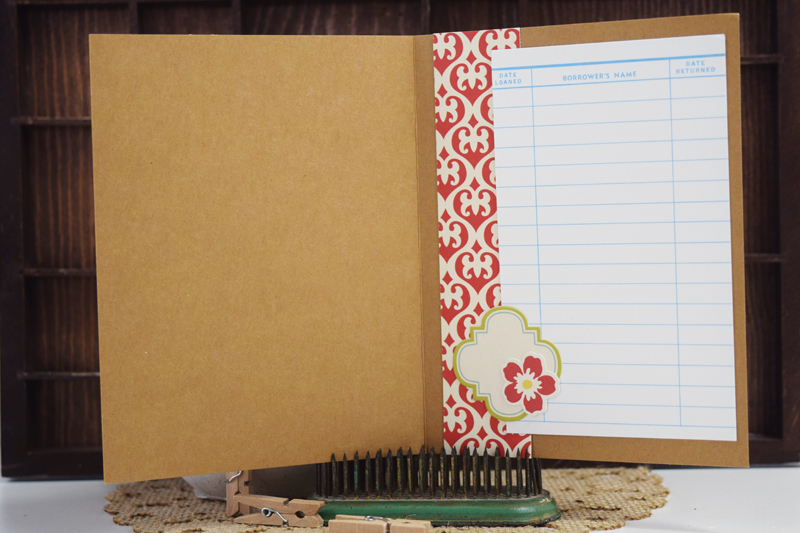 If you create back to school cards, we’d love to see a link to them in the comments! Thank you for stopping by the Weekly Scrapper blog and I’ll see you again next Thursday. 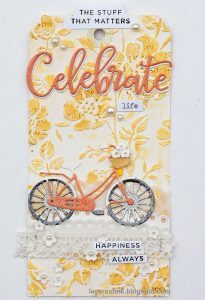 This entry was posted in Card Making, Inspiration Station and tagged back to school, Becki Adams, Card-making, October Afternoon. Cute as can be! Love it!